“Where did you apply to school?” It’s the dreaded question that turns high school seniors inside out year after year. It’s the question your teachers, doctors, aunts, uncles, fifth cousins and every single one of your mom’s friends asks every time you make an appearance. What these perpetrators don’t know is that nowadays, the application process is a test of endurance rather than a display of excellence. You’d think that college applications would follow suit with the simplicity that technology has so gracefully provided. Couldn’t applications be completed through an iPhone app and our resumes transformed into five-minute video clips? For us millennials, no such luck. 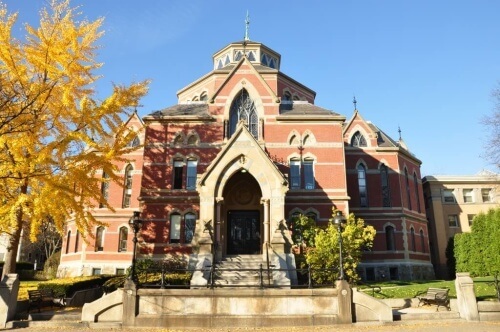 Prestigious universities across the country are sticking to essays, test scores and pretty much every other document they can get their hands on. Just be glad they aren’t demanding your middle school diary or X-rays from the dentist. The top 10 most difficult college applications lie before you, so be prepared if your dream school is on the list. University of Michigan is known for the Ross School of Business and raging Wolverine school pride. 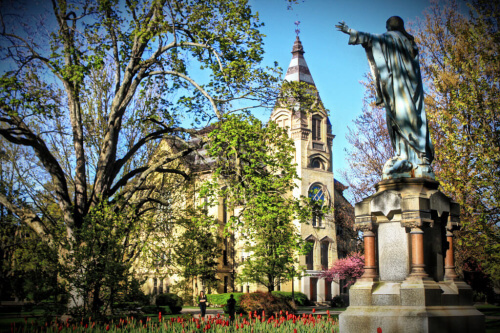 With so much to offer, the University of Michigan has the right to get snobby (this isn’t an invitation to brag, all you Wolverines). They’ve increased the difficulty of its application, while decreasing its acceptance rate (lucky us!). While it only requires two teacher recommendations and your typical transcript and school report submission, University of Michigan also asks for three supplementary essays along with the 650-word Common Application essay. 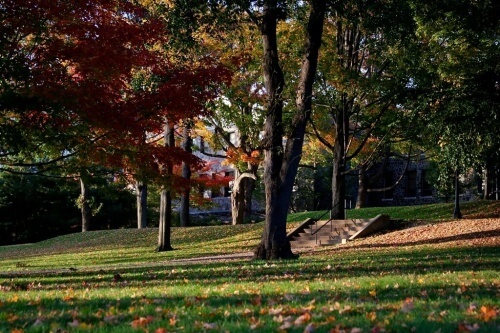 Maia Harrison, a freshman at Michigan, remembers her application as the bane of her existence. 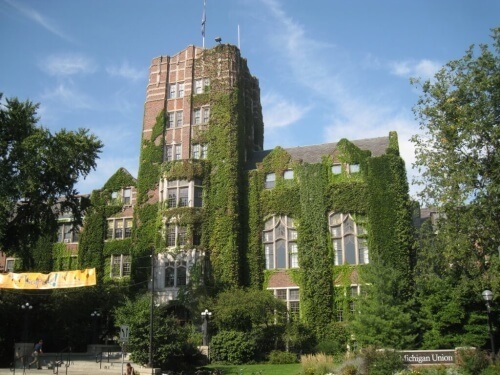 “Instead of a generic ‘Why Michigan’ question, the prompt was more specific by asking you to talk about a specific college within Michigan and how it would support your interests.” Though these essays are way less wacky than other application prompts you’ll come across, they will push you to research the crap out of University of Michigan to show you’re a worthy Wolverine who’s not messing around. 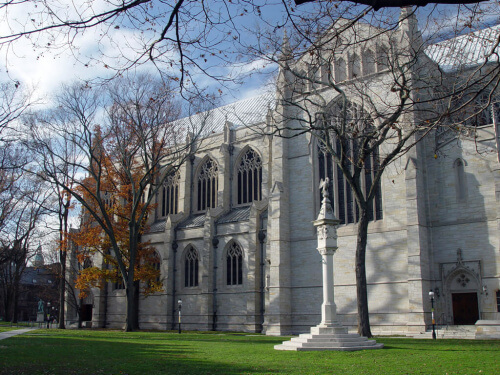 Famous for its incredibly low acceptance rate, Brown University prides itself on its academic integrity and success. In addition to gut-wrenching alumni interviews and two subject tests to add on to an SAT or ACT score submission—the four additional essays are nowhere near a breeze. Each of the questions suggests either a personal response or proof of research and knowledge of the school. 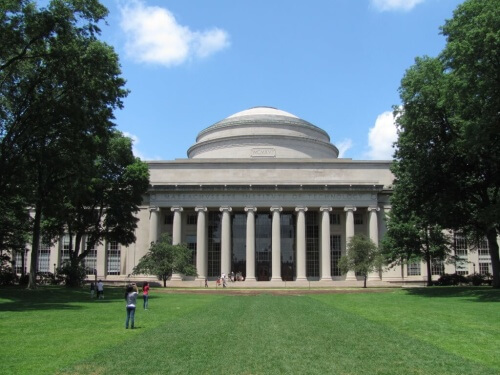 Kyle Tildon, a freshman at Brown University, spent a solid month on his application. That month was spent completing six drafts of five essays for each person reviewing his supplemental responses. 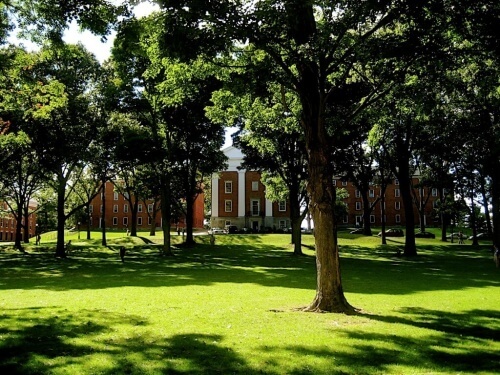 In comparison to other college apps, Tildon believes Brown’s was the hardest and most boring. “The prompts weren’t particularly inspiring, especially for an applicant who’s looking to stand out.” And without an creative essay to help you shine, what else can you show besides what’s in your pocket? Though Tildon thanks his tutors for his high test scores, he also acknowledges tutoring as a luxury and an unfair advantage. “It is important to keep in mind that the SAT’s have been shown, time and time again, to reflect wealth more than anything when it comes to achievement on the test.” Kid’s got a point. 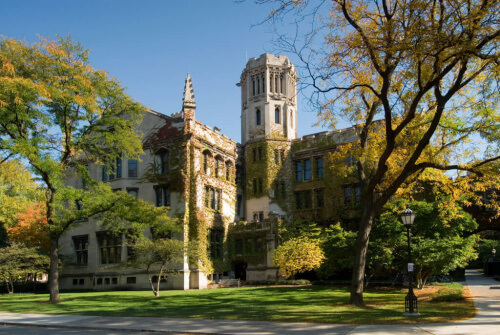 Known as a school where “fun goes to die,” but also recognized for its alumni’s high salaries, University of Chicago is quite the unexpected twist for difficult college applications. Not only do you get to complete three supplemental essays that are known for their quirky prompts designed by current UChicago students but you also must submit mid-year reports, school reports, transcripts, three teacher recommendations and SAT or ACT scores. One essay, my personal favorite, reads, “Joan of Arkansas. Queen Elizabeth Cady Stanton. Babe Ruth Bader Ginsburg. Mash up a historical figure with a new time period, environment, location, or occupation, and tell us their story. —Inspired by Drew Donaldson, Class of 2016.” Sergio Salcido, a freshman electrical engineering and physics major, easily remembers the creative aspect of the application. “What was different was that the essay questions were so weird.” Salcido remembers questions that made his mind spin: why odd numbers are so odd and another asked about his favorite condiment. It’s the high level of intuitiveness and personal reflection that knock this application out of the park. 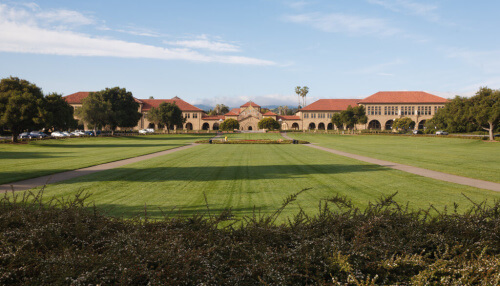 Known for its beautiful campus, its proximity to Silicon Valley and its entrepreneurial spirit, Stanford proves its selectivity through both its incredibly low acceptance rate and its college application. Stanford weeds out its talented student body with an application that asks for three teacher recommendations, a transcript, mid year report, school report, SAT or ACT test with writing, “highly recommended” subject tests (which means, unless you invented an app or found a cure for cancer, you better take those damn subject tests), and eleven supplemental essays or responses whose prompts inspire a certain creative originality. Just try to think about the things you could do in that time. Truly, the possibilities are endless! Ethan Brown, a freshman Computer Science major at Stanford, spent three weeks on his application. 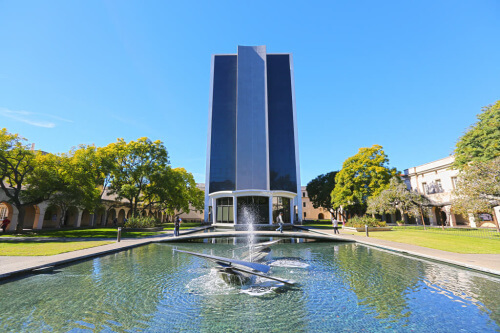 “Stanford’s application was definitely unique, especially the ‘Letter to Your Future Roommate’ essay which allows you to further express your personality.” Most of Stanford’s prompts seek responses that expose the applicant as a person rather than just an applicant to the university. Although responses are only 50 words long, they force applicants into some serious soul-searching. At this rate, you’ll be lucky if you have the time to take a breath between applications. Are College Movies Real Life?